We know you put a ton of time and energy into making videos and it's important for you to understand how they get discovered. 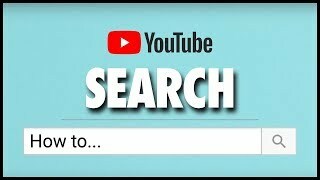 The goals of YouTube's search and discovery system are twofold: help viewers find the videos that they want to watch, and maximise long-term viewer engagement and satisfaction. Gain a better understanding of how the system works, where your content is displayed and what you can do to give your videos the best chance of success. YouTube tries to match each viewer to the videos that they are most likely to watch and enjoy. With over 400 hours of video uploaded every minute, that can be a challenge. YouTube's recommendations systems provide a real-time feedback loop to cater to each viewer and their varying interests. Our goal is to get people to watch more videos that they enjoy so that they come back to YouTube regularly. Instead of worrying about what the algorithm 'likes', it's better to focus on what your audience likes. If you do that and people watch, the algorithm will follow. So, which videos do they enjoy most? How often do they like to watch your channel? Check your YouTube Analytics to answer these questions. Over time, it's natural for the performance of your channel to fluctuate. Today's audiences have a lot of options. They may love you one week and not so much the next week – or maybe they're on holiday and not even watching next week. Expect fluctuations and seasonality, and try not to jump to conclusions based on one or two uploads. Take a higher-level view of your overall channel performance. Creators also wonder, 'What if I want to try something new on my channel?' Experimenting is very important for creative people, and when starting a channel, you should feel free to try all sorts of videos until something works. After that, if you'd like to try something new, listen to audience feedback. If you have been doing the same thing for a long time and it isn't driving as much engagement as it used to, this could signal that it's time to try out something new. Even the best video formats have a finite shelf life, and experimentation can help you identify the next wave to maintain or grow your engagement. Myth: If you upload videos early as unlisted and later flip them public, the system will penalise you. Truth: Our systems don't penalise videos that are uploaded early. What matters is how your video performs after you publish it. Like Google's search engine, search on YouTube strives to surface the most relevant results according to keyword queries. Videos are ranked based on a variety of factors including how well the title, description and video content match the viewer's query. Beyond that, we look at which videos have driven the most engagement for a query. Search results are not a list of the most-viewed videos for a given query. See what words people use to find your channel in Traffic Sources in YouTube Analytics. Consider incorporating the most relevant search terms for each of your new videos. You can add them as titles and descriptions – as long as they're accurate (and not excessive). Write robust descriptions of up to 1-2 paragraphs in length, if relevant. Consider implementing YouTube's Translation tools to reach an international audience. Brainstorm new video ideas by looking at search results for popular and less competitive queries. Identify opportunities to serve an audience that isn't already well served. Remember to take a look at the Trending tab for topics that appeal to you or that may be specific to your niche. MYTH: My videos have fully optimised titles and descriptions. Why don't they rank higher? Videos that viewers watch along with the current video, or videos that are topically related. They could be videos from the same channel or from a different channel. Videos from a viewer's past watch history. Learn more about YouTube watch history. Suggested Videos are shown to viewers on the right-hand side of the watch page under 'Up next', below the video on the mobile app and as the next video in auto-play. Make strong calls to action for viewers to watch another one of your videos. 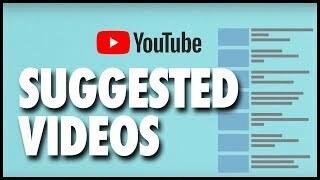 Use playlists, links, cards and end screens to suggest the next video. TRUTH: They've lived on YouTube for longer. Always compare the first seven days of your uploads to get a clean comparison. 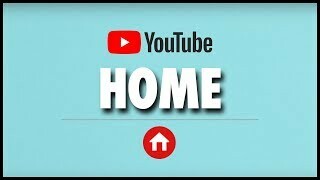 Home is what viewers see first when they open the YouTube app or visit YouTube.com. It's the one-stop destination for YouTube, a place where we aim to deliver the most relevant, personalised recommendations to each viewer. It's also a great place for your videos to be found by non-subscribers. Over 200 million different videos appear on Home each day for viewers around the world. Performance – How well the video has engaged and satisfied similar viewers, among other factors. The viewer's watch and search history – How often the viewer watches a channel or topic and how many times we've already shown each video to the viewer. Keep viewers engaged for longer and encourage them to come back for more. Whether it's with a long video, or several short ones, the longer you keep people watching, the more your content may get surfaced. Keep doing what works. When you create something that's working for your audience, keep at it. We display more of what your viewers like. Don't be afraid to experiment, but do so mindfully. Observe feedback from your audience and give them time to adjust. Avoid making content that violates YouTube policies: Make sure that you title videos accurately, use appropriate and non-spammy tags and avoid misleading thumbnails. MYTH: My videos aren't showing in the feed. TRUTH: There are two feeds – Home and Subscriptions. Videos on Home are personalised based on viewer preferences. TRUTH: We've tested this many times. Every time, it dramatically reduces how much subscribers watch and come back to YouTube. 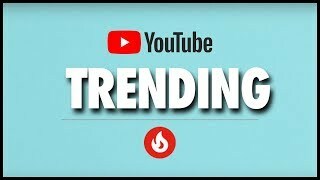 The Trending feed is a single list of videos that are new and popular on YouTube in a viewer's country. Some trends are predictable, like a new song from a popular artist or a new movie trailer, while others are completely surprising. Therefore, we aim to combine popularity with novelty. This list considers view count (especially the rate of growth in views), where views are coming from and many other signals. Therefore, the video with the highest daily view count may not necessarily be number one on Trending. Keep up your channel's momentum. Creators and artists are eligible for 'on the Rise' based on subscriber level, as well as metrics such as videos uploaded, growth in views and growth in subscribers. Subscribers are viewers who have opted in to see more of your videos, and they watch them from all areas of the site. They're your core audience and biggest fans, who often provide important initial signals about new videos that you release. 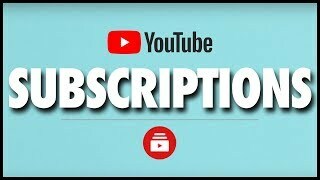 The Subscriptions tab is an area of the site that shows a collection of videos from channels that a viewer is subscribed to. This feed includes highlighted videos and a list of all the most recent uploads. Ask them to subscribe in your videos when viewer sentiment is at its highest (such as after a big laugh or a scene's climax). Educate viewers on where they will see your channel's videos once subscribed. Make videos public when you think that your viewers are most likely to be watching. Understand that it's common to have more subscribers than views. Remember that it's normal for uploading to be met with unsubscribes. TRUTH: YouTube doesn't unsubscribe people. If we do, it's a bug, and we are looking into every possibility of that. 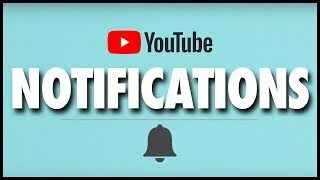 Notifications are alerts sent when a new video is made public. They can be sent via mobile push alerts or emails. These tend to kickstart early traffic to your new uploads, but don't necessarily drive the bulk of traffic. By default, YouTube only sends occasional notifications from channels that you watch a lot or those that you're subscribed to. If subscribers want to receive notifications every time that you make a new video public, they can tap the bell icon next to the 'Subscribed' button. Learn more. In order to maintain a healthy ecosystem on YouTube, we offer viewers choice in the frequency of notifications that they receive. When viewers receive too many notifications, they often unsubscribe from notifications altogether. Therefore, notifications are limited to three per upload/live stream per channel in a 24-hour window. Make videos public when you think that most of your viewers are awake and ready to watch. If you think that you should be receiving notifications but aren't, make sure that notifications are enabled on your mobile device settings. Restricted Mode is designed to be an optional feature that helps filter out more mature content from view, so that institutions like schools and libraries, as well as people who prefer a more limited experience, would feel comfortable offering access to YouTube. Viewers must turn Restricted Mode on manually. You can see if your videos are viewable in Restricted Mode by turning Restricted Mode on and going directly to your video's URL. You can send us feedback if you think that your video should be viewable in Restricted Mode. Restricted Mode does not affect whether your videos are eligible for monetisation. We strive to give everyone a voice, and we value stories where individuals discuss their personal experiences and share their emotions. Sharing stories about facing discrimination, opening up about your sexuality, and confronting and overcoming discrimination is what makes YouTube great, and we will work to make sure that those stories are included in Restricted Mode. But just a reminder, to be included, your content must follow the guidelines above! For more details about Restricted Mode, take a look at this Help Centre article. Take a look at the traffic sources report in YouTube Analytics and click the YouTube search link to see a list of what terms people search for to find your content. In the Views report from YouTube Analytics, click on the Comparison feature to evaluate views and watch-time performance before and after you update your metadata.